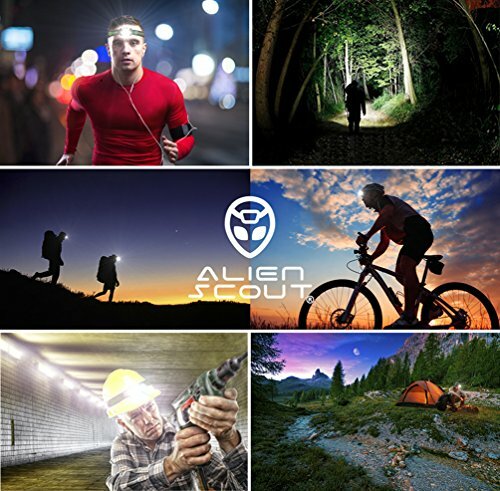 THE BRIGHTEST LED LIGHT: Our head torches feature a powerful 168 LUMENS spotlight designed with the latest CREE XP-E LED Technology that can shine light up to 110 meters. 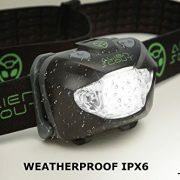 That means you can see clearly at night from one end of a football pitch to the other! Talk about BRIGHT! 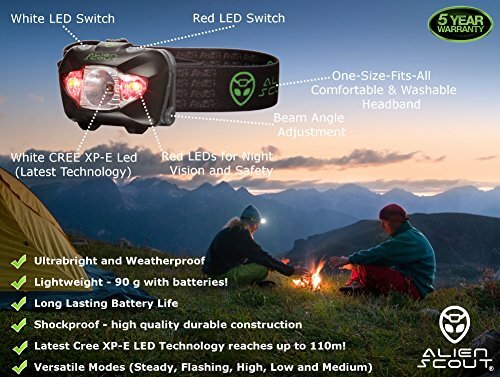 6-MODES PLUS LONG-LASTING BATTERY LIFE: multiple functions including RED NIGHT VISION, RED FLASHING, WHITE ULTRA BRIGHT AND S.O.S. 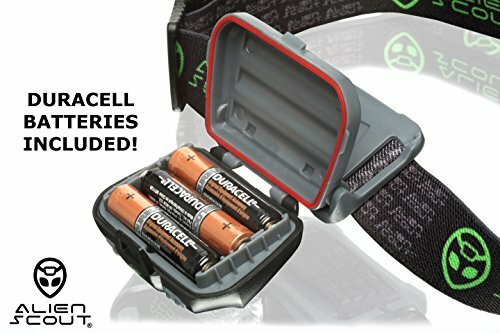 FLASHING (dots and dashes Morse). 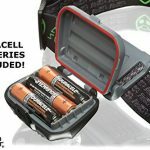 You can expect up to 120 HOURS OF USE on a single set of batteries! 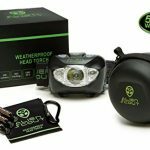 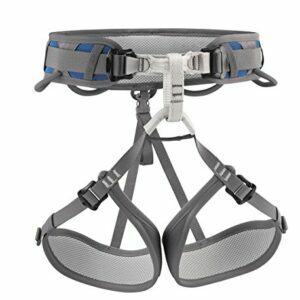 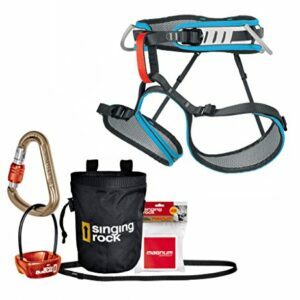 FIVE-STAR QUALITY CONSTRUCTION AND EASY TO USE: Our unique WEATHERPROOF AND SHOCKPROOF headlamp is ONE-SIZE-FITS-ALL and offers a rotatable body that can turn up to 70 degrees. This is a LIGHTWEIGHT POCKET-SIZED head torch (90g with batteries) that it won’t bob during running or cycling. 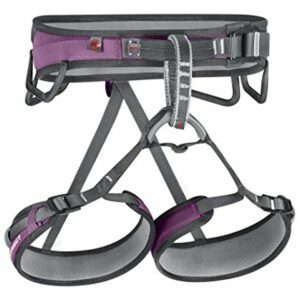 And with a single, easy-to-manage slide strap, you can adjust the comfort on the fly. 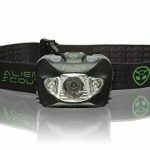 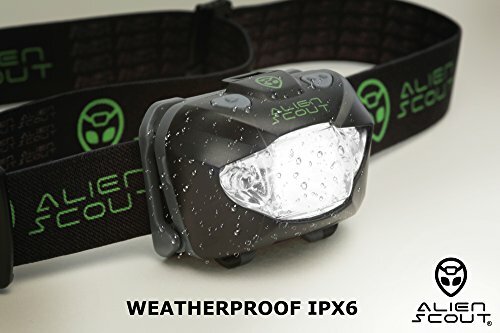 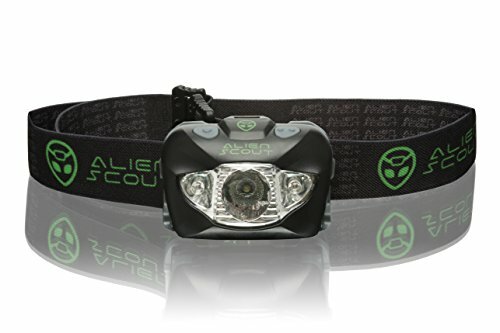 Enjoy the best head torch for camping, climbing, hiking, running, cycling and working with your hands – the Alien Scout Professional LED Head Torch! Whether you routinely work with your hands, love running outside, or just live an active lifestyle that needs more freedom, the Alien Scout LED Head Torch is here to help you achieve your goals. 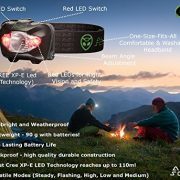 Click “Add to Cart” above and shine a light on work, exercise and the great outdoors! 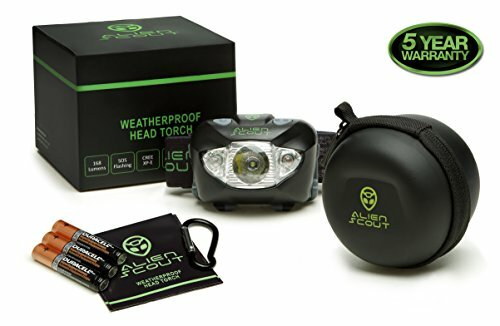 AMAZING BONUSES: Each of our PREMIUM head torches comes standard with a HARD CASE with interior mesh pocket, which makes it easy to store and TRAVEL, a CARABINER that lets you clip it to a backpack your belt or anywhere else, and 3 DURACELL batteries!